You may be familiar with the term hypothyroidism, which involves an under-active thyroid, but have you heard of Hashimoto’s disease? More importantly, what is Hashimoto’s Disease? Simply put, it’s an autoimmune disease that affects the thyroid gland. Untreated, symptoms include depression, weight gain, fatigue, slow metabolism, infertility and more. Understanding Hashimoto’s Disease is the first step toward healing. First of all, let’s talk about the thyroid. The small gland in your neck that’s responsible for producing hormones, regulating your heartbeat and helping you burn calories is your thyroid. As you can see, these are pretty major functions. When something disrupts the thyroid gland, all sorts of chaos ensues. Hashimoto’s disease damages the thyroid gland. Essentially, our immune systems step in to harm rather than help by creating antibodies that go to battle with the thyroid gland. The result is an insufficient production of the thyroid hormone and ultimately a slowed metabolism and debilitating symptoms. While Hashimoto’s resembles hypothyroidism, it’s actually the first step that can lead to hypothyroidism if untreated. While the two can occur concurrently, they are actually two separate health issues. The key difference is that hypothyroidism is a thyroid gland issue, whereas Hashimoto’s is related to an issue with the immune system. Hashimoto’s is commonly misdiagnosed as hypothyroidism or missed altogether. This is due to the fact that most doctors use standard thyroid function tests called TSH or Thyroid Stimulating Hormone testing. The problem is that the TSH test doesn’t reveal the full story. With Hashimoto’s, the thyroid hormone levels can look “normal,” or within range when in fact that is far from the truth. Bottom line is that no lab test is completely accurate in detecting each kind of thyroid issue. 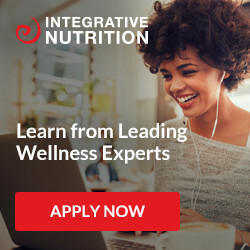 To truly discover if you have Hashimoto’s requires looking beyond standard testing into lifestyle matters including diet, sleep, nutrition, stress and more. All of these factors directly affect the health of the immune system. There are also other tests that can provide a fuller assessment including an antibody blood test, ultrasound tests, home tests and more. The symptoms of Hashimoto’s disease are complex and aren’t always easy to catch. For instance, most often there are no notable symptoms. However, symptoms that may be attributed to hypothyroidism such as fatigue, heavy menstruation and weight gain, can actually be the result of Hashimoto’s disease. Who is prone to Hashimoto’s Disease? Women are at much greater risk to get Hashimoto’s disease. There is also a higher risk if you have other autoimmune or medical illnesses like celiac, anemia, arthritis, lupus, diabetes, etc. Hashimoto’s can also run in the family, making some people more susceptible to getting it. If Hashimoto’s disease goes untreated serious health risks can occur including high cholesterol, infertility and miscarriages. That’s why it’s crucial to take a full approach of broad testing for Hashimoto’s. Hashimoto’s is the result of the lack of the thyroid hormone, so conventional treatment uses thyroid hormone pills. However, functional medicine doctors have a broader scope of treatment than conventional doctors and take a big picture approach by addressing lifestyle, health and diet. Ultimately, treating thyroid conditions like Hashimoto’s disease requires looking beyond just the thyroid gland to create a full-scope healing process. Make sure to check out my blog post and make sure you are getting all the right testing done too!